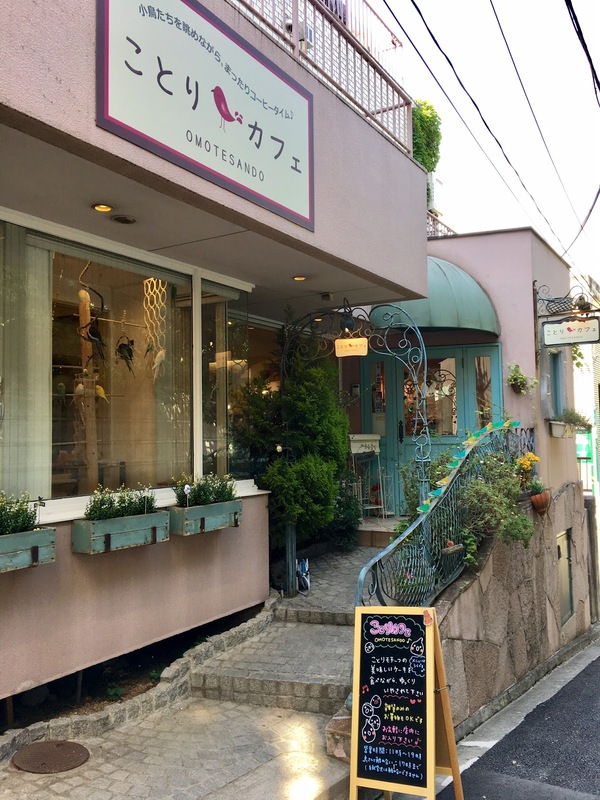 Japan has become quite the popular spot for unique, themed cafes. 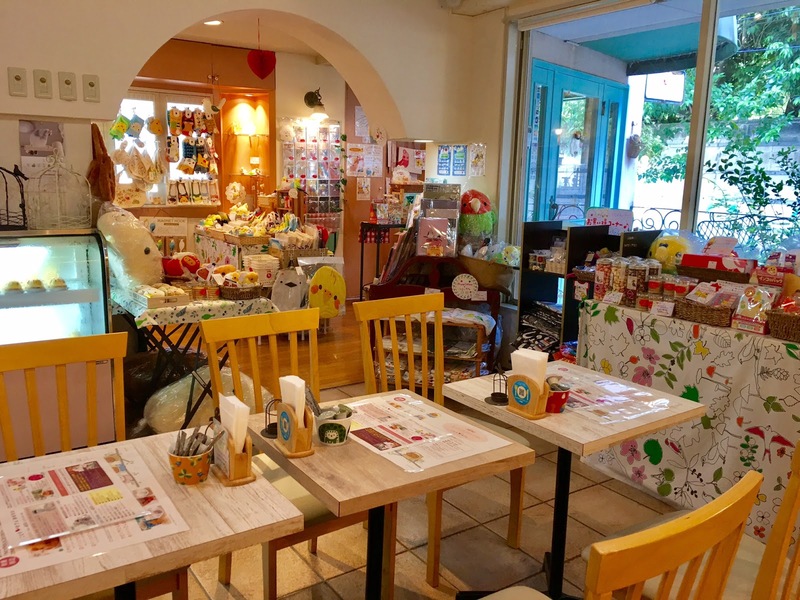 Among those themed cafes that are particularly popular are the animal cafes! It all started with a single cat cafe in Tokyo, where locals were able to visit, grab coffee and get soothed by the presence of cats. I'm personally deathly allergic to cats and don't like cats in general (sorry!) so I wasn't ever interested. 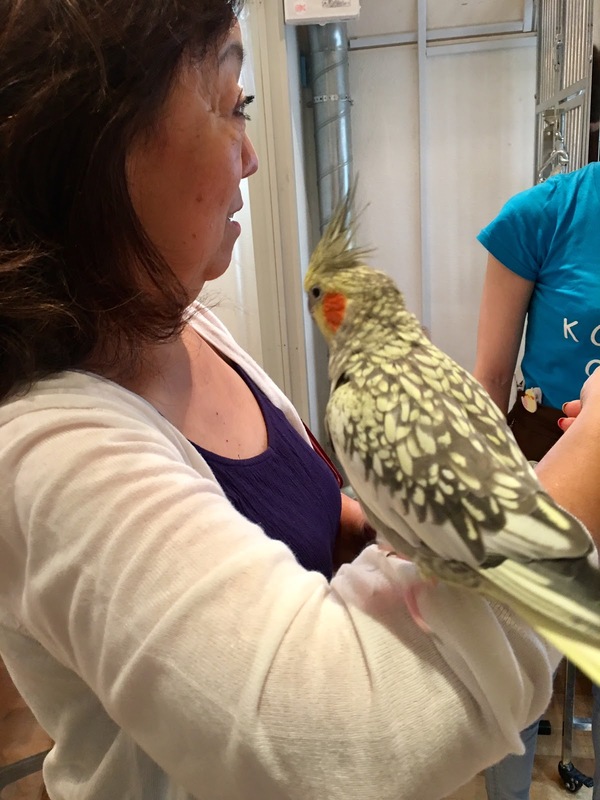 But when other animal cafes started introducing dogs, rabbits, snakes, owls, hedgehogs and parrots, that definitely perked my interest! While I was in Tokyo this year, I was able to check out 2 different animal cafes (the other one coming soon!) 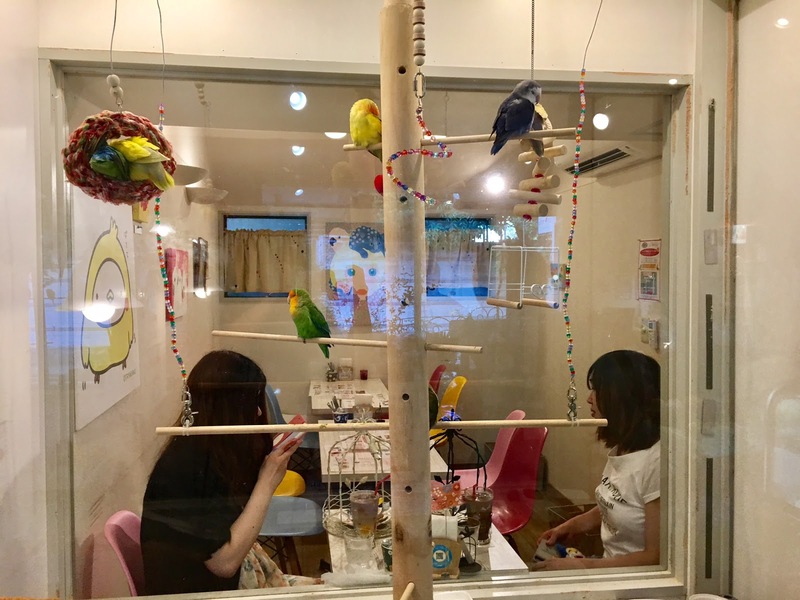 and this particular one is called the Kotori Cafe (Kotori = Small Bird) which is a bird cafe. 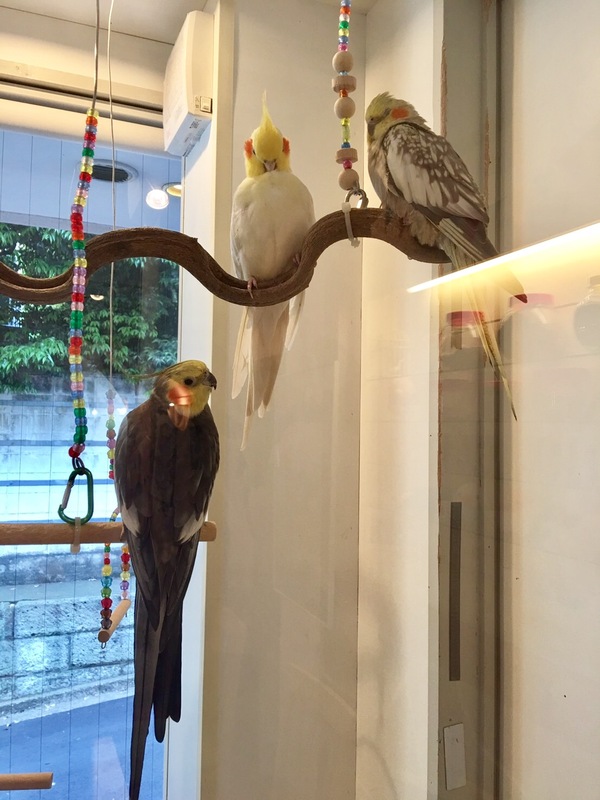 They have different types of household birds like the budgies, love birds, parrots and more! 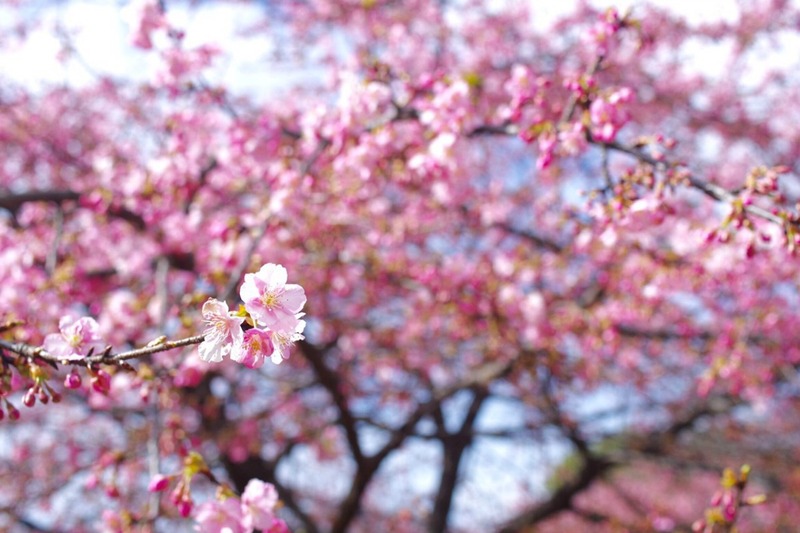 Where & When: Located in Aoyama close to the Harajuku area, it sits in a quiet street with a charming exterior. 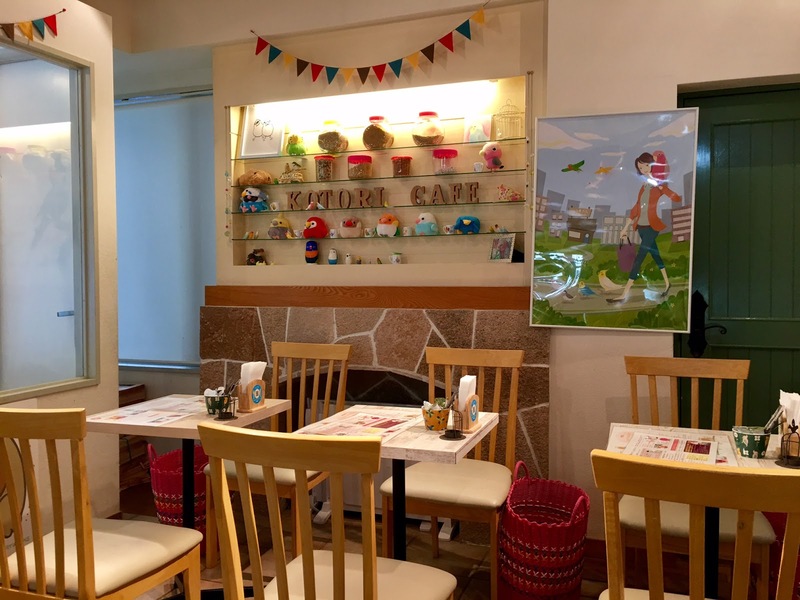 Unlike other animal cafes, the Kotori Cafe doesn't require a reservation although you can still make one. During the weekend, I definitely suggest making reservations. But during the week, you really don't need one. My Mom and I visited on a Wednesday afternoon to an almost empty cafe. 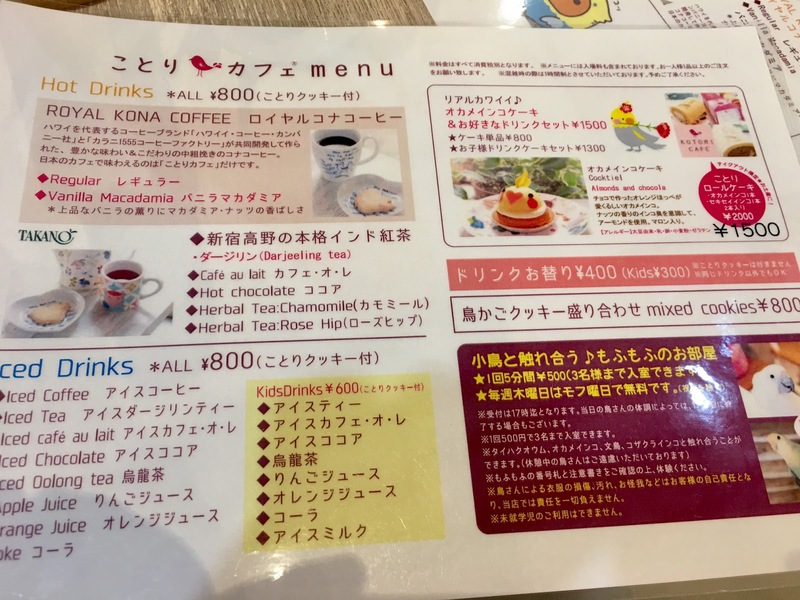 More information about the Kotori Cafe is provided at the bottom! 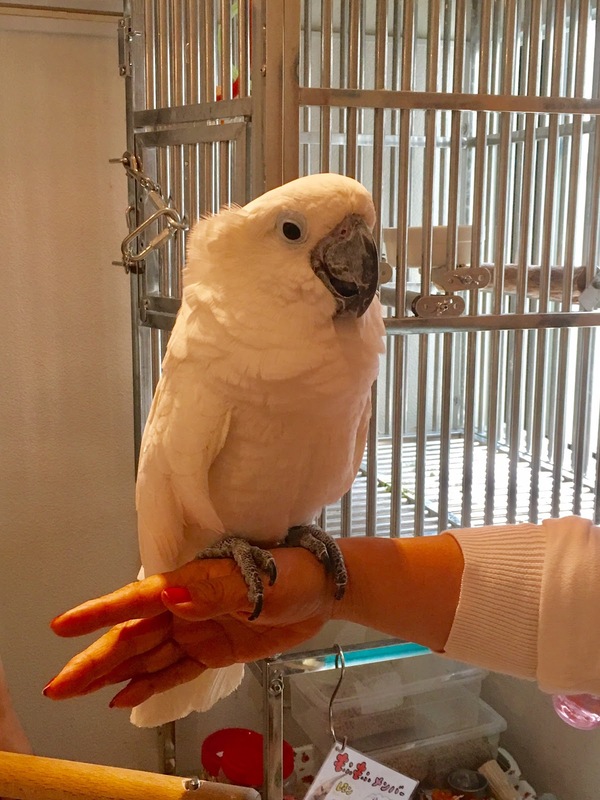 How It Works & Pricing: Another unique aspect of the Bird Cafe is that there's no entry fee or hourly fee like most animal cafes. The minimum order is a drink which gives you access to a table and time to enjoy the hirping birds surrounding you. A drink costs Y800 ($8 USD) and comes with a little cookie! One of the best parts (in my opinion) about this cafe is their beyond adorable Cake of the Day. 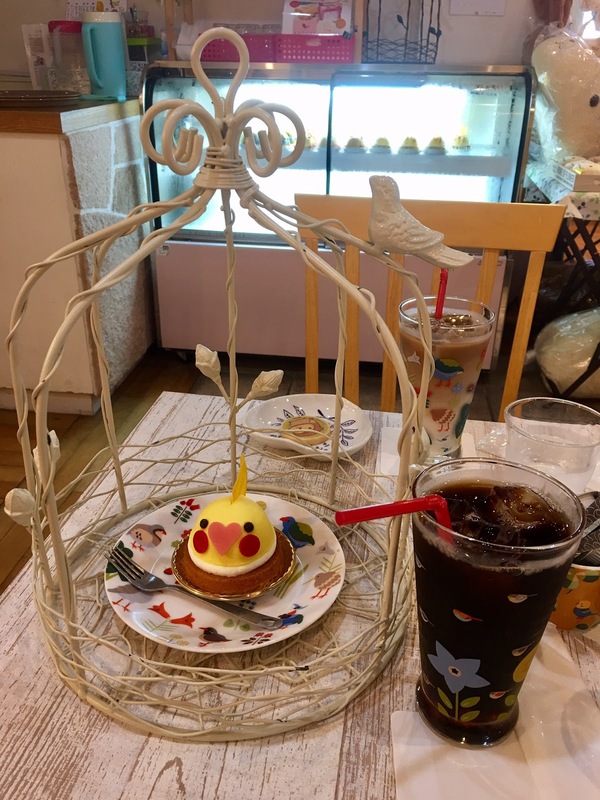 They bring the cake in a vintage bird cage for picture purposes and after a much needed photo shoot, they'll take it away for ease of eating. My particular cake was an almond tart - so delicious! The quality is just as good as the decoration which is no surprise, since they order their cakes from a patisserie nearby. The cake cost is Y800 ($8 USD) but if you get a drink and cake set, it's Y1,500 ($15 USD). Now if you want to play with some of the birds, you can. 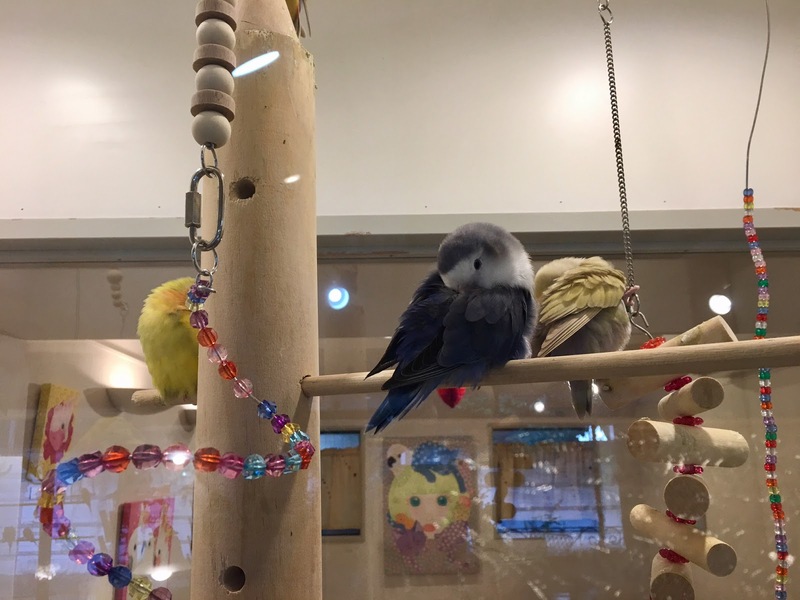 As I mentioned in above, they have a select number of birds that customers can play with, supervised by one of the employees. 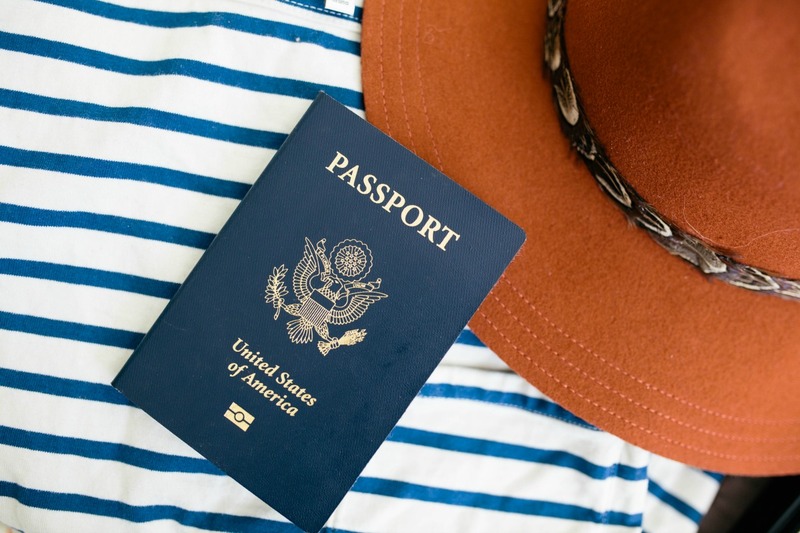 This experience will cost you Y500 ($5 USD) per 5 minutes. During the 5 minutes, you can either choose 1 bird for the entire time span or 2 birds for 2.5 minutes each. My Mom loving this cutie! 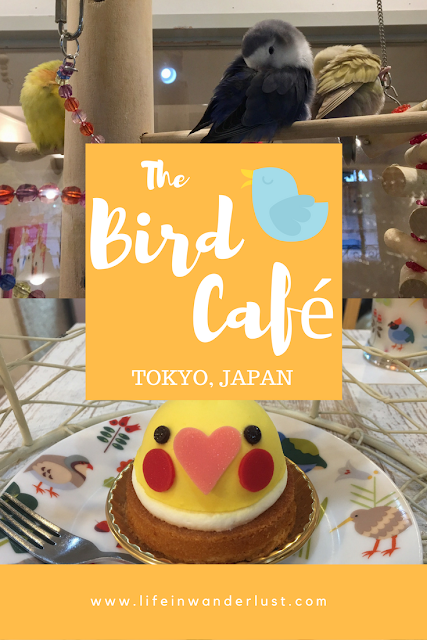 Bird Merch Heaven: The Bird Cafe has a section dedicated to bird merchandise, a complete heaven for bird lovers! 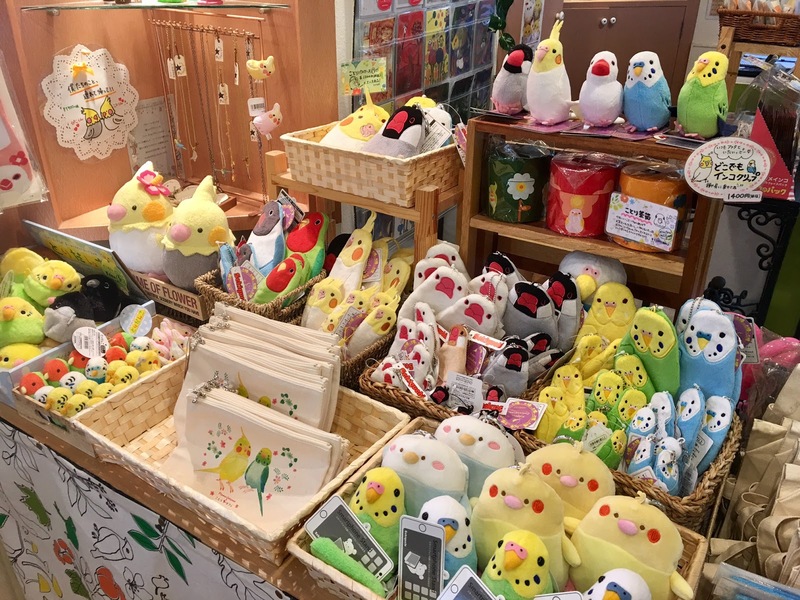 You'll find anything from bird shaped cookies, jewelry to plushes and phone holders, which is what I got! You'll see a photo of it on the bottom where our real bird is attacking it, haha! 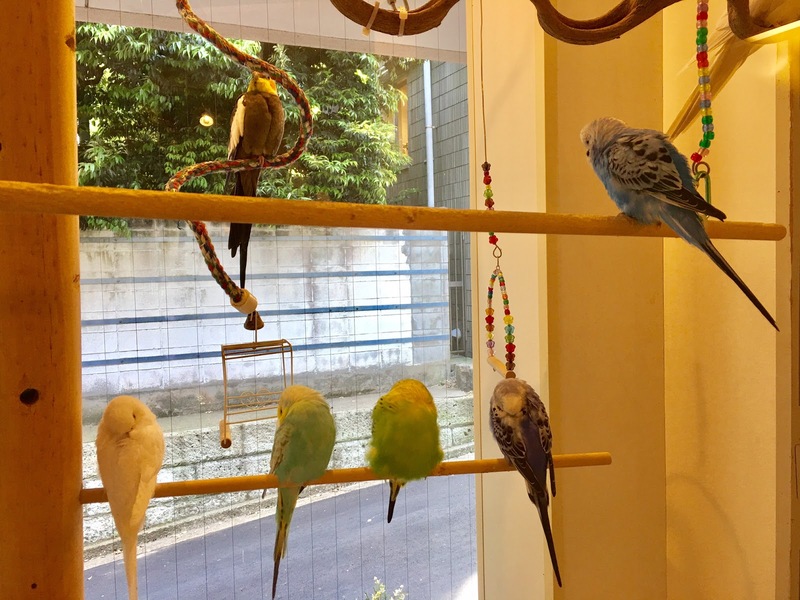 Bonus Fun Fact: If you don't watch my Instagram Stories while in Japan, you may not know that my family own a little blue budgie named Lucky. Lucky was originally gifted to my brother but when he moved out for his job, my parents kept her at home. Now Lucky brings so much joy to my retired parents and my brother and I love visiting with her. If you're not into birds, it may seem weird but they're just as loving, quirky and tame as a dog. Lucky let's us pet her, she flies over when called, always wants to be with a human (especially my Dad) and chirps to converse with us. Lucky attacking her enemy that I bought at the Bird Cafe, haha! Lucky chilling on her favorite human (my Dad)! I can't get over the fact that so many of those birds fly free around Australia! I grew up going to an eye doctor who always had cool birds in their office. That treat looks way too cute to eat. That cake is so cute! What a colorful and unique cafe! I'm not sure how I'd feel about animals and food in the same place, but it certainly makes for a unique experience.